Glow in the dark screen print on a regular fit, 100% ultra cotton black t-shirt. 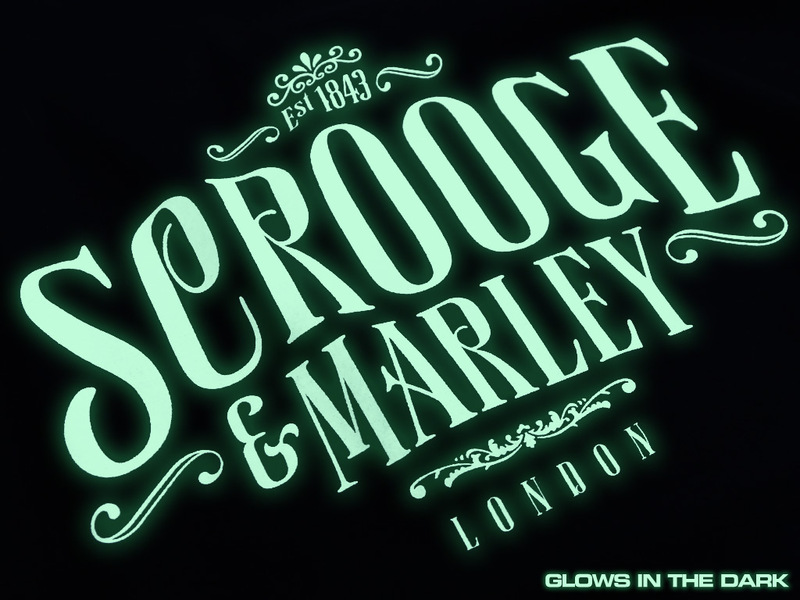 Inspired by the various film adaptions of the classic Christmas story A Christmas Carol. An ideal gift for the Scrooge in your family.